This is just shameful and it’s discriminatory. The National Trust evidently hid volunteers in a back room out of sight because they refused to wear a gay pride badge. Now, a whole bunch of their members are threatening to cancel their memberships over it and I don’t blame them in the least. At least one member has removed the National Trust as a beneficiary in his will over this. This happened to ten volunteers at Felbrigg Hall. They were told to wear rainbow lanyards and badges celebrating 50 years since the partial decriminalization of homosexuality. The fact that the hall’s former owner was gay was exposed without permission as well. 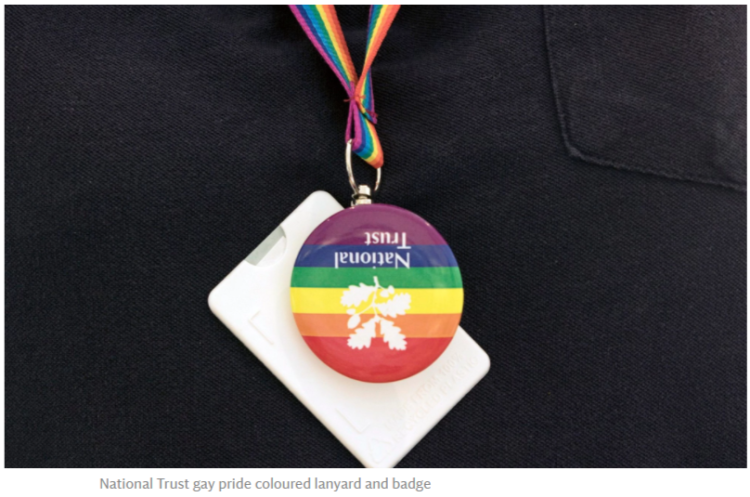 For not wearing the ‘gay badges’, volunteers were asked “not to be on duty in a visitor-facing role” during the summer’s ‘Prejudice and Pride’ campaign. They made them hide like slaves or untouchables in the back. National Trust members are threatening to cancel their membership after it was revealed that volunteers were banished to the back room, out of sight of visitors, for refusing to wear a gay pride badge. Members contacted The Telegraph to say they would no longer financially support the conservation society, with one saying he had removed the charity as a beneficiary in his will. Ten volunteers at Felbrigg Hall refused to wear the rainbow lanyards and badges, to mark 50 years since the partial decriminalisation of homosexuality, in protest at the Trust’s decision to ‘out’ the Hall’s former owner, poet and historian Robert Wyndham Ketton-Cremer, who bequeathed the estate to the Trust after his death in 1969. As a result, volunteers who refused were asked “not to be on duty in a visitor-facing role” during the summer’s ‘Prejudice and Pride’ campaign, according to emails seen by The Telegraph. “By wearing the lanyard we are sending a clear message of welcome to all of our visitors,” wrote Ella Akinlade, the general manager at Felbrigg Hall. Oh, I hope they fire her. Relatives of the former owner, Mr. Ketton-Cremer, were enraged that the charity decided to make a film narrated by Stephen Fry which revealed that this “intensely private” man was homosexual – without even consulting them. I feel a lawsuit coming on. Being forced to were ‘gay badges’ is a clear sign of militant extremism and bigotry. Need I remind anyone out there that the Nazis did the same thing with stars? I am especially disappointed in Stephen Fry over this. He’s a gifted actor. I never considered him a fascist until now. This is indeed Marxist totalitarianism at play. Soon, it won’t be hiding volunteers, it will be camps if this keeps up. Cultural Marxism is poison in the free world and this is where it leads. Felbrigg Hall, Norfolk. 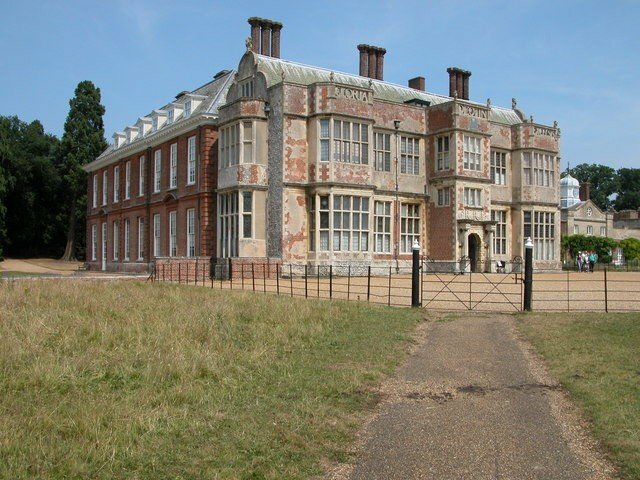 The south front of Felbrigg dates from the 1620s which contrasts with the west front which dates from the 1680s. The hall has been in the care of the National Trust since 1969.